Around half of all apps on the App Store are games. While a great deal of these have been designed with one-handed touch gameplay Super Mario Run Is Out Now! Here's What You Need to Know Super Mario Run Is Out Now! Here's What You Need to Know Mario finally makes his way onto smartphones, but Is it worth the money for Nintendo fans? Here's everything you need to know about Nintendo's new mobile game. Read More in mind, many are not. You’ll need a proper, physical controller to really make the most of games like iOS-optimized Grand Theft Auto releases. Game controller support has been baked into iOS Game Controllers & iOS: Here's What You Need To Know Game Controllers & iOS: Here's What You Need To Know Read More since iOS 7. 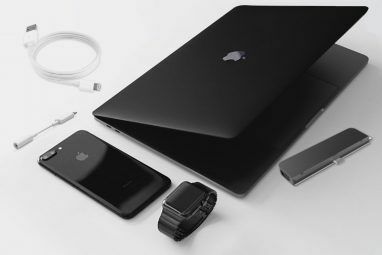 The “Made for iPhone/iPad” scheme, better known as MFi, guarantees that developers can take advantage of third party controllers, and enabled manufacturers to develop hardware that is universal and easy to implement. 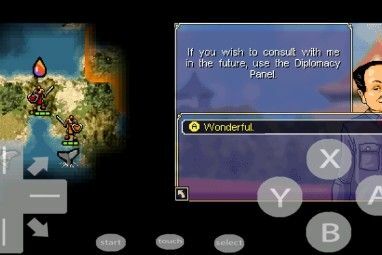 So here’s exactly how you can play games on your iPhone or iPad, with a physical controller. Your best bet for playing games with a controller on your iOS device is to buy a third party MFi controller. Apple’s standard ensures that both hardware and software are compatible, so it’s easy for developers to add gamepad support to their games. The number of controllers available for iOS has increased massively over the past few years, and after disappointing initial offerings Logitech PowerShell Controller Review And Giveaway Logitech PowerShell Controller Review And Giveaway We purchased a Logitech PowerShell iPhone 5/5s controller for this review. Now, we're giving it away to one lucky reader! Read More many manufacturers are finally turning out quality products. You’ll need to charge Bluetooth controllers every 10-30 hours depending on which you’ve chosen, and a bigger battery means a heavier controller. Some come with physical grips to hold your device, others will require some sort of stand like Apple’s Smart Case for iPad. There are other controllers which use a physical connection, plugging into your device’s Lightning port. Provided the game you’re playing can take advantage of controller input, these generally require no setup. Most still require charging, and some have audio passthrough and built in speakers. You’ll also have to make sure you’re buying the right controller for your device, so that everything fits properly. Which MFi Controller is Best? Last year we reviewed a group of the highest-rated iOS game controllers iOS Gamepad Shootout: GameVice, PXN Speedy & SteelSeries Nimbus iOS Gamepad Shootout: GameVice, PXN Speedy & SteelSeries Nimbus It's taken a while (nearly two years, to be exact) but the iPhone and iPad are finally getting some quality gaming peripherals. We took three of the best, and put each to the test. Read More , including the PXN Speedy [No Longer Available], Gamevice for iPhone, and SteelSeries Nimbus. Read our full review to find out what we thought, but the take-away is that MFi game controllers still aren’t perfect. While the Gamevice was small and portable, its analogue sticks were poor. The PXN Speedy doesn’t have any proper analogue triggers, and the joysticks are much tighter than those found on home consoles. 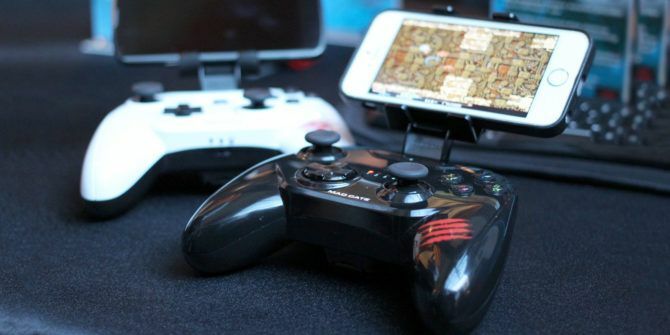 The SteelSeries Nimbus felt like the best controller of the bunch, but it had no grip for iPhone users. Other controllers you can buy include the Horipad Ultimate, Hori Horipad, SteelSeries Stratus XL, Mad Catz C.T.R.L.i or Micro, and Moga Rebel. None of them seem as well put together as the SteelSeries Nimbus though. Check out the excellent blog AfterPad to learn more about these and other upcoming iOS controllers. Despite the prevalence of third party controllers, developers still design their games with the primary “touchscreen” audience in mind. That means that on-screen controls are still the norm, but they’re far from accurate or pleasant to use. One compromise is the use of a stick-on controller, like the Fling ($10). 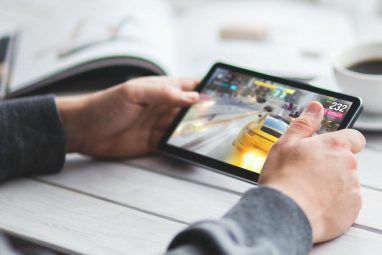 The controller attaches to your iPad using suction cup, and uses the capacitive touchscreen to add a more tactile element of control to your games. Unfortunately these seem to be increasingly hard to find, and you’ve not got a lot in the way of alternatives. It’s probably not worth jailbreaking your iOS device any more 4 Compelling Security Reasons Not To Jailbreak Your iPhone or iPad 4 Compelling Security Reasons Not To Jailbreak Your iPhone or iPad Jailbreaking can get rid of Apple's many restrictions, but before you jailbreak your device it's a good idea to weigh up the benefits and potential drawbacks. Read More . While there are still plenty of great tweaks out there, there probably aren’t enough reasons to justify the hassle. Jailbreaking has always been a game of cat and mouse, and running outdated versions of iOS is still a requirement if you want to install Cydia tweaks. There’s currently no stable iOS 10 jailbreak. The latest stable untethered jailbreak (that means you can restart your device and still keep your jailbreak) is for iOS 9.1. If you’ve already updated to iOS 10, you won’t be able to roll back at this stage as Apple only signs software for a limited time. But if you do have a device that’s been jailbroken, or you’re reading this in the future when a stable untethered iOS 10 jailbreak is available, you have some options. A free Cydia tweak called Controllers for All adds support for non-MFi controllers including the PS3, PS4, and Wii U Pro gamepads. The app currently promises to work for all devices from iOS 7 to 9. Games that are compatible with official MFi controllers should work with controllers configured using Controllers for All. For an exhaustive list of games you can play with a controller, check out AfterPad’s comprehensive list. Many developers will also mention whether or not a game is compatible with MFi controllers in the app description. For a few personal recommendations, check out GTA III ($4.99) and other Rockstar open world games like Bully ($6.99). Oceanhorn ($5.99) is an action RPG that feels very Zelda, and it really benefits from a physical controller for long sessions. Tomb Raider [No Longer Available], Minecraft Pocket Edition ($6.99), and Worms 3 ($4.99) are also worth a shot, and work great with a controller. We want to hear whether you use a controller with your iPad or iPhone. Which games do you play? Which controller have you got? And is jailbreaking still worth it for playing games? Let us know in the comments! Explore more about: Game Controller, iPad, iPhone, Jailbreaking, Mobile Gaming. Is there any way I can connect my Xbox 360 controller to my iPad with just my iPad and controller with nothing else? What did you use to connect it? I'm not sure. You can try asking in MUO Answers. Good luck!